For generations, the fertile Hiddenlands were shared by the peoples of the Five Realms. The Elves, Mages, Dwarves, Halflings, and Humans lived peacefully with each other, though they increasingly engaged in fierce competition for the prosperity and glory of their respective nations. And so it was that when the divisiveness threatened to break the thousand-year peace, the Goblin Hordes from across the sea unleashed a devastating surprise attack, and the peoples of the Hiddenlands could not unify quickly enough to repel them. 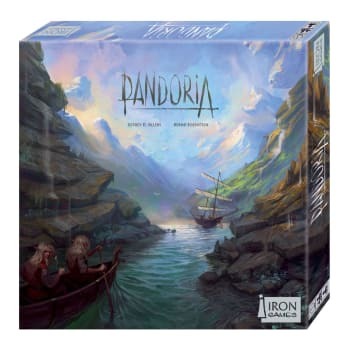 Remnants of each of the realms fled by ship, until they at last discovered a new, unoccupied land upon which they could begin building their civilizations anew: Pandoria! The old rivalries would remain, but perhaps this time, their competition with each other would not welcome disaster. It was a time of hope.